I like the idea of providing complex applications as virtual appliances. OwnCloud relies on Apache, MySQL and PHP. There is extensive documentation available on the ownCloud web site to put all the pieces of the puzzle together, but I wanted to save time and work, and so I decided to download a pre-installed virtual appliance with ownCloud. 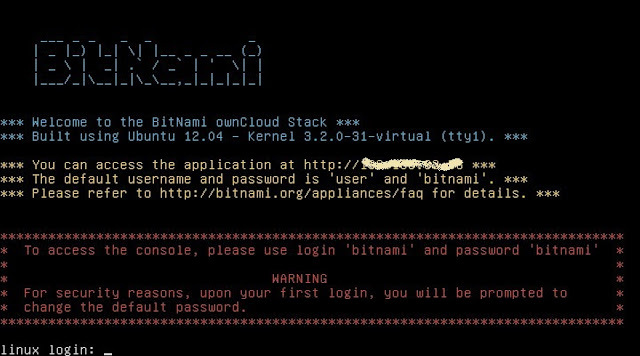 There are several choices available, and I picked the BitNami ownCloud stack. Importing the machine into ESXi was not as straight forward as I thought, because the appliance is not provided in OVF format (that you could just import through the vSphere client), but in VMware Workstation format. It turned out that the best way to deploy to an ESXi 5.x host is to use VMware Converter. In the Bitnami documentation there is misleading information that you should convert the VM to OVF format with an older version of Converter - ignore that. You can use the latest version (5.0.1) of Converter (with ESXi 5.1 you even must use the latest version) to directly upload the machine to the host. In the import wizard be sure to change the VM's disk controller type from auto-select to "SCSI LSI Logic". Otherwise you will end up with an IDE disk. If you don't want to use VMware Converter you could also upload the VM files to a datastore of your host and convert the disk files into an ESXi compatible format (using vmkfstools -i in an ESXi shell). With ESXi 5.1 you will then run into another issue that I already described in an earlier post. This method also requires you to manually register the VM's configuration file (.vmx) and fixing the virtual hardware (add an e1000 Ethernet adapter and a CD-ROM drive). Before you go and power on the machine for the first time upgrade its virtual hardware to the latest version (vmx-09 in ESXi 5.1). If the machine got an IP address through DHCP (like shown here) then you can immediately start playing with it by pointing your browser to ownCloud's web interface. 1. 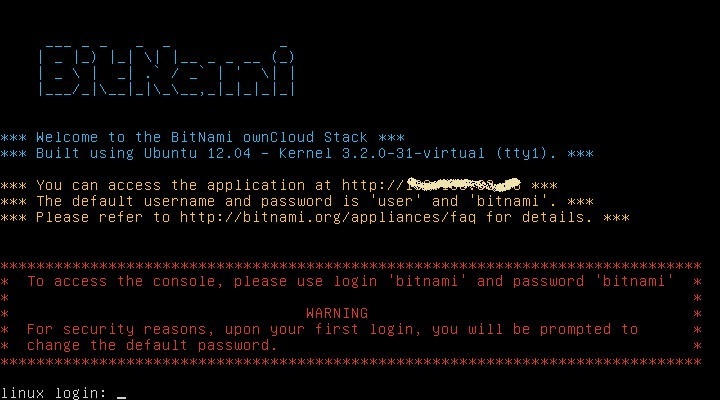 Log in on the console as user "bitnami" with password "bitnami". You will be prompted to change the password. 2. If you can not or don't want to use DHCP then set up networking as described in the Ubuntu help docs by editing the file /etc/network/interfaces to define a static IP address and DNS servers for the device eth0. Reboot the machine to make the new settings effective. 3. Enable ssh in Ubuntu like described here. You can then stop using the console and access the machine via an ssh client (like putty) to perform the remaining steps. After logging on as user bitnami run "sudo su -l" to switch to the root account. These steps worked for me using the Tools of ESXi 5.1.
to run a time sync one minute after each full hour. Adjust the schedule and time server to use as required.